It’s common knowledge for hunters to wear brightly colored clothing and to come prepared on hunting outings with things like: the right equipment, hand warmers, weapons, first aid kit, tree stand and spotting tools. However, all of the tangible “must-haves” will get you nowhere without a solid knowledge of how to hunt. Besides understanding how to properly use your hunting weapon(s) of choice, it’s helpful to know how to use certain aspects of nature to your advantage. For example, it’s wise to utilize “deer language” to attract deer closer to you. 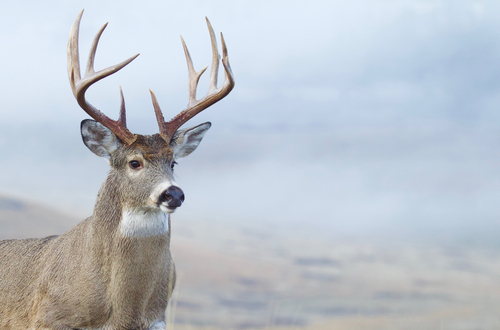 Successful hunters not only know what type of call to use, but when to use calls for whitetail deer and other wildlife. Before you learn a new skill, it’s always smart to understand the purpose of the ability you’re honing. The same holds true for hunting calls. A deer’s vernacular includes two reasons for grunts, a form of “deer language.” Bucks use grunts to either: attract an estrous doe or hound a doe that’s not quite ready to breed. Bucks also grunt to prove their dominance in the presence of another buck, in terms of claiming a doe or territory. Knowing this, it is only advantageous to call a buck at certain times. In general, the best time to use deer calls is the time of year in which bucks are just beginning to show interest in pursuing does. IMPORTANT NOTE: Deer mating seasons will not be the same time of year in every hunting region, so you should always research deer mating season timing relating to your specific geographic location if you intend to use buck calls. One of the first rules of deer calling is not to use too many calls. Deer do not vocalize all of the time; therefore a hunter calling in excess will alert the deer of a red flag in the area, which will likely drive them away. Because deer aren’t constantly bleating or grunting, you shouldn’t be either. The general rule of thumb is to use a short sequence of bleats or grunts about every thirty minutes or so. Call for about 30 seconds and then take a moment to observe any reactions. It’s also helpful to start out on the softer side with a call, gradually increasing volume as needed. A sudden, loud call that abruptly cuts through the wooded silence will scare deer away. While you can attempt to use hunting calls blindly, you’re bound to have more success with a deer in your sites. Having an eye on a buck before calling is useful since it allows you to read his body language. You’ll be able to know when the buck acknowledges the call so that you can be sure he heard it. This will help you learn how loud your calls need to be at certain distances. If you are watching a buck while you call and he turns to look at you, toss one more grunt his way. If he doesn’t move toward you at this point, you would be wise to either continue observing him in silence or switching tactics to a snort-wheeze or rattling sequence to see what will bring him close enough for you to get a good shot. Finally, take into account the distance between you and the buck. 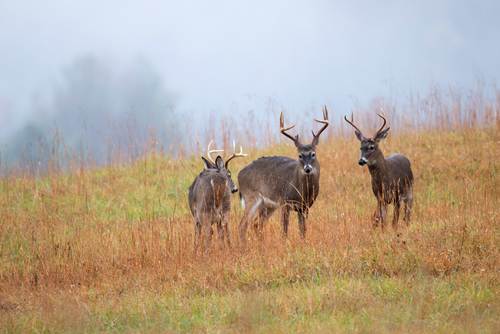 If a buck is too far away to hear your calls, allow him to wander a bit closer before taking action. Distance is crucial in getting the buck to commit to you. Additionally, if a buck is too close to you when you grunt, it will most likely scare him away. The ideal distance to begin calling is about 80 to 100 yards, depending on the situation, landscape, weather, etc. Calling takes patience and experience. You may not have success with calls the first few times you use them, but as you get more experience under your belt, you’ll be enticing the big boys in no time. Continue to further educate yourself and make a habit of talking to other hunters who have knowledge about making effective calls. Good luck on your next hunting trip!